Iowa PGA Professional, Rob Randall of Legacy Golf Club was named Iowa’s best teacher in Golf Digest earlier this year. Click here to view the feature video that ABC 5 News ran on Rob. Click here to view Golf Digest’s full list. The Mizuno Golf 36-Hole Classic is Monday, April 30 at TPC Deere Run in Silvis, IL. The first round of the event will begin with a shotgun start at 8:30 a.m. Pairings will be re-done following the conclusion of round one. Second round pairings will be based off score. The second round will begin with a shotgun starting around 1 p.m. There will be an additional $20 Bonus Flight in round two for the bottom half of the field and ties. The format for this event is 36-hole stroke play with the Open Division, Senior Division and Super Senior Division competing for the purse. Click here for pairings and general tournament information. The Iowa PGA Junior and Pee Wee Spring Open presented by Principal Charity Classic takes place on April 28-29. The Junior age divisions will play two rounds over the weekend, while the Pee Wee divisions will play one round on Sunday. This two-day event will take place at three different golf courses. Round one will be held at the Legacy Golf Course for all Junior competitors. The second round will be held at the Tournament Club of Iowa for the Junior 18-hole divisions, and Jester Park Golf Course (Par 3) for the Junior 9-hole divisions. The Junior boys 11 & under and the Junior girls 13 & under will play 9-hole stroke play each day. All other Junior age divisions will play 18-hole stroke play. All Pee Wees will play a 9-hole stroke play format. They will follow the last Junior group on Sunday at Jester Park. All groups will be teeing off of No.1, with the first group teeing off at 11:54 a.m. on Saturday. Pairings for Sunday will be released following the conclusion of the first round. The Iowa Cup Matches is the next event on the Iowa PGA 2018 schedule. 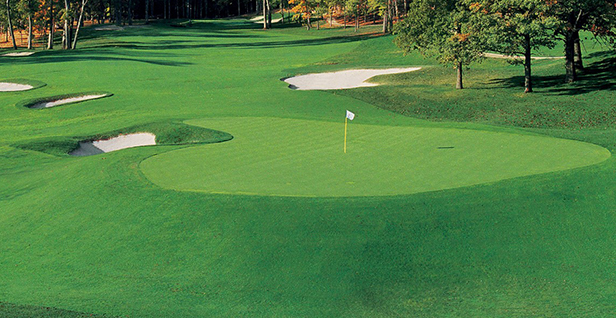 This Ryder Cup style format tournament will be held at Spirit Hollow Golf Course on May 2-3. This annual competition features the top Iowa PGA Professionals against the top Iowa Golf Association Amateurs. Click here for general tournament information. The Brad Wuhs Pro-Pro and Education Forum is set to take place on Monday, May 7 at Hyperion Field. Registration for this event is already open and closes on Tuesday, May 1. Click here to register. The Spirit Hollow Junior Classic will take place May 5-6 at Spirit Hollow Golf Course. Registration for this tournament opens Tuesday, May 1 and closes the same day at 11:59 p.m. There are 80 spots available for this event. The Spring series concludes with the Iowa PGA Junior and Pee Wee Spring Series #2 at Westwood Golf Course on May 12. Registration for this event is open and will remain open until Tuesday, May 8. Click here to register. To keep up with all the Iowa PGA's news and updates please visit IowaPGA.com or visit the all new IowaPGAJuniorGolf.com websites, and follow us on Facebook, Twitter and Instagram.